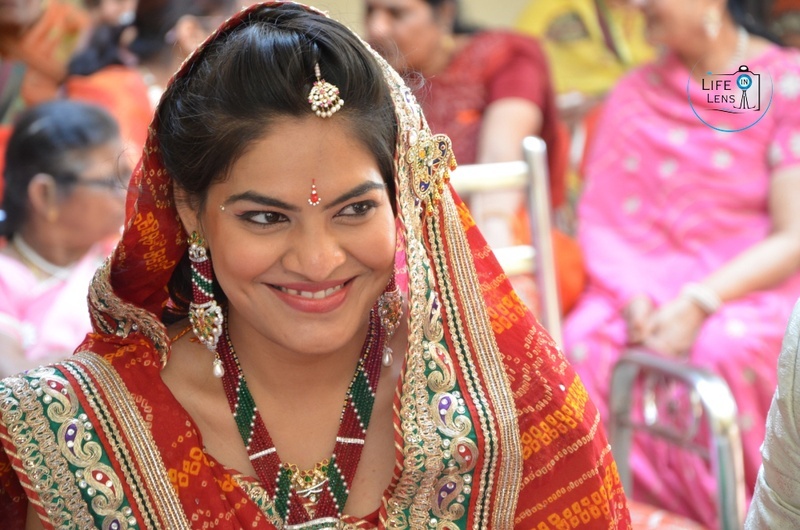 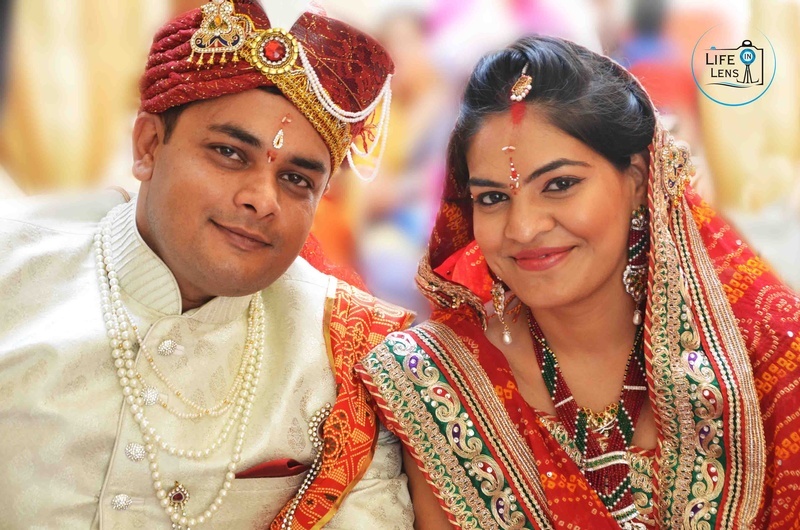 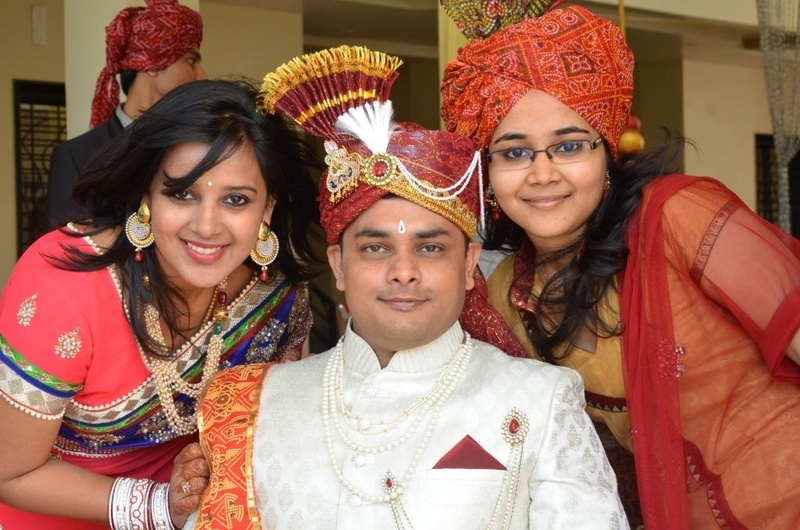 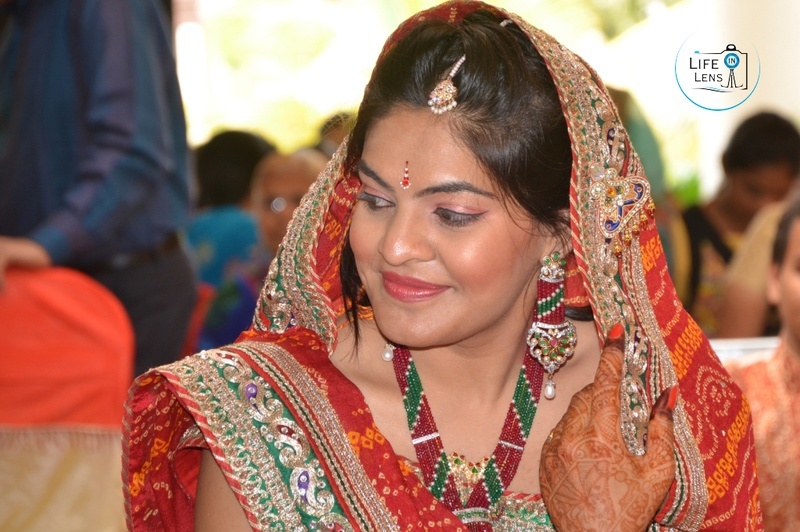 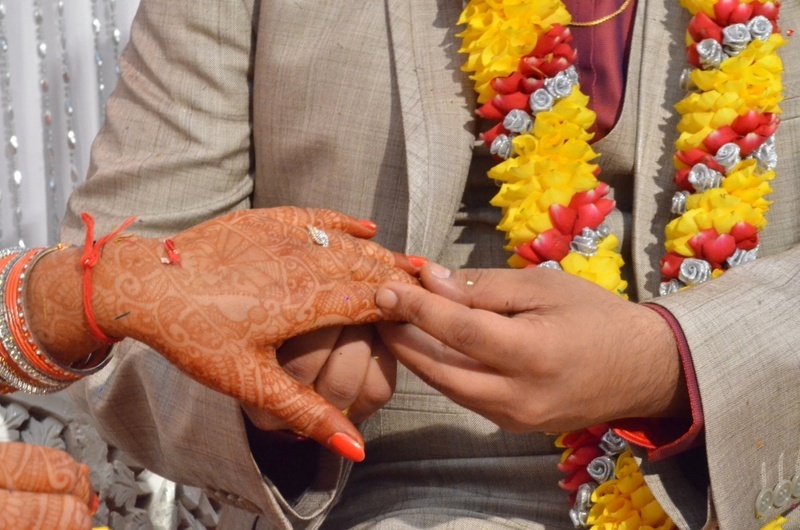 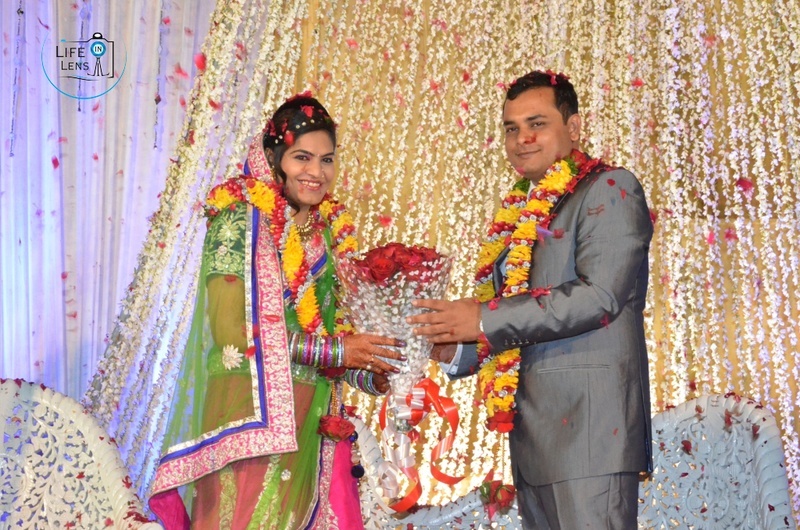 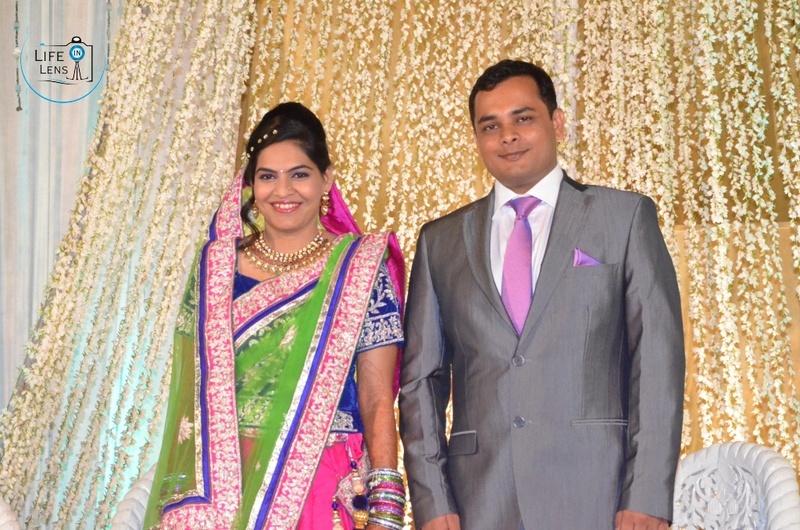 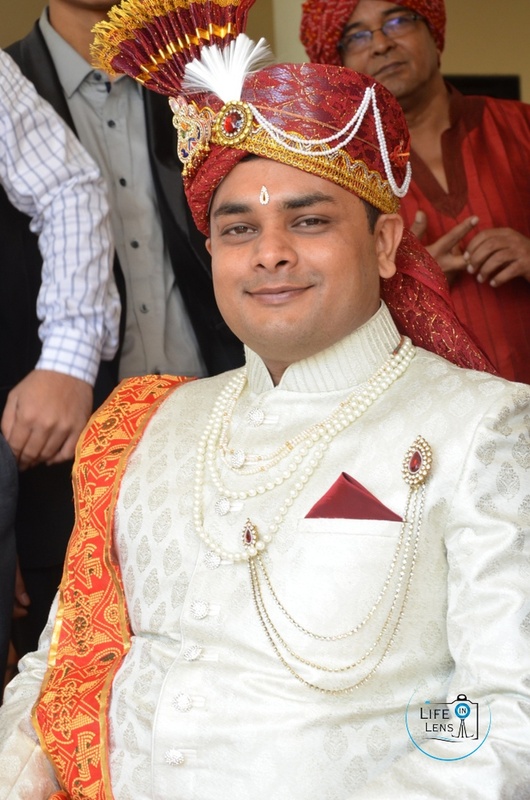 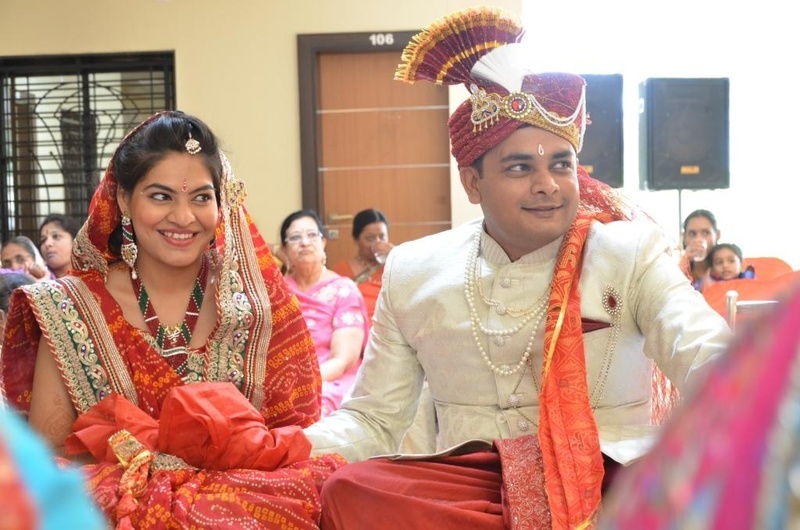 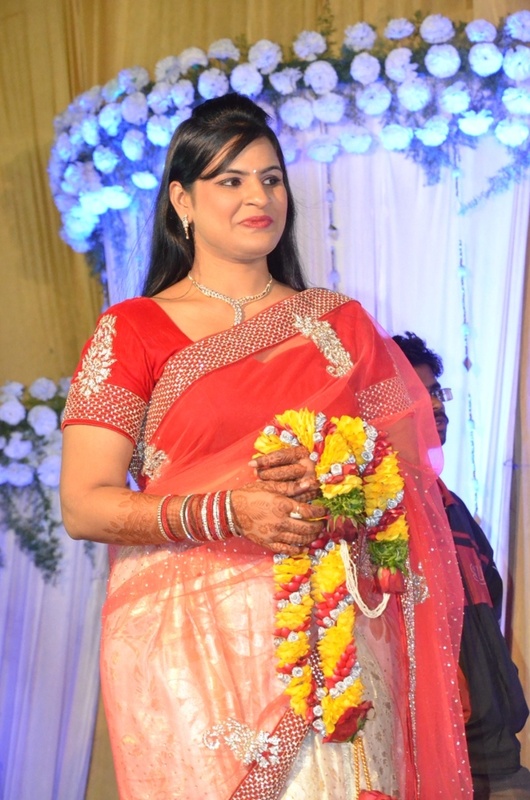 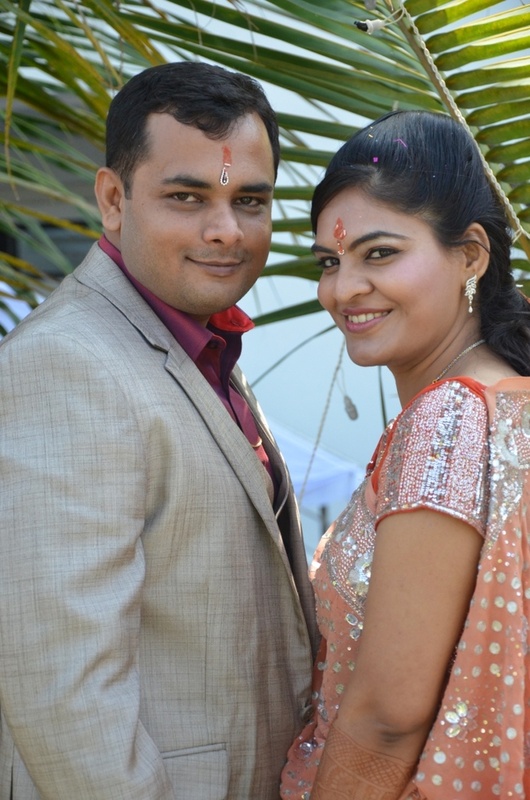 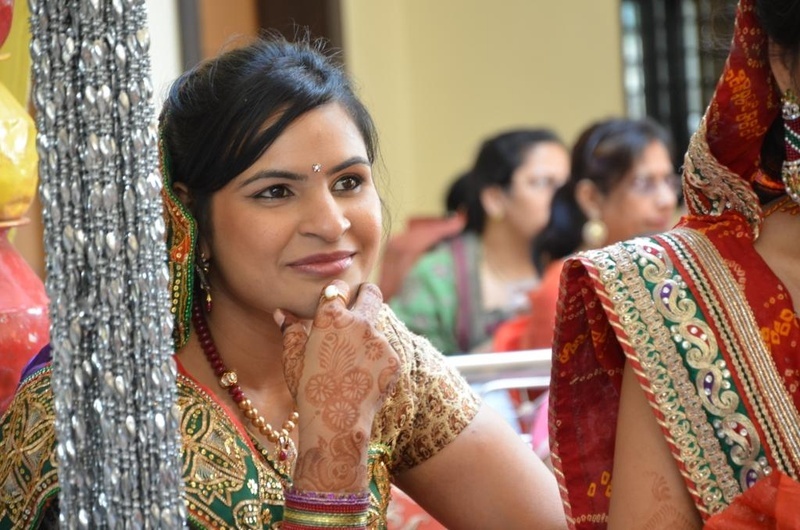 Aditya and Shweta got married to each other in a traditional wedding ceremony held in Amravati, Maharashtra. 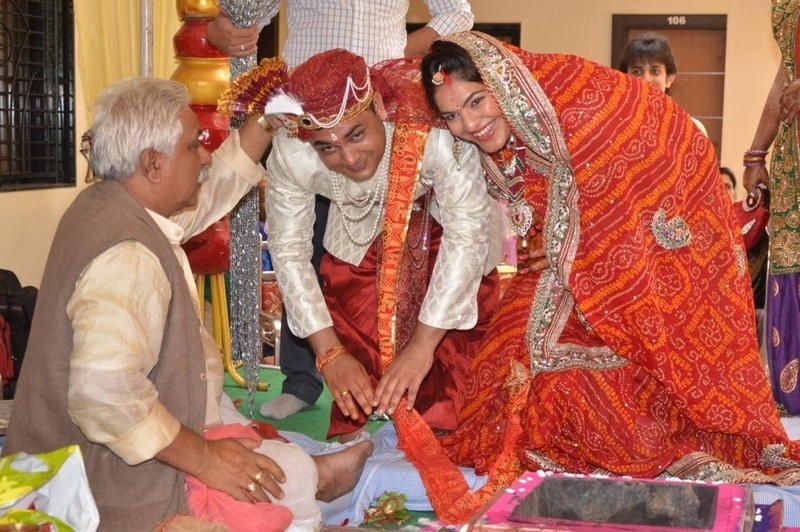 Their entire wedding celebration was filled with customs and rituals. 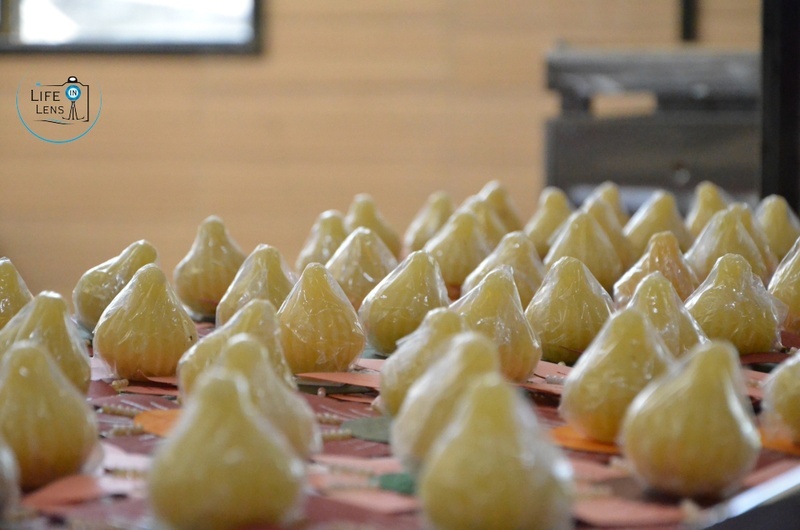 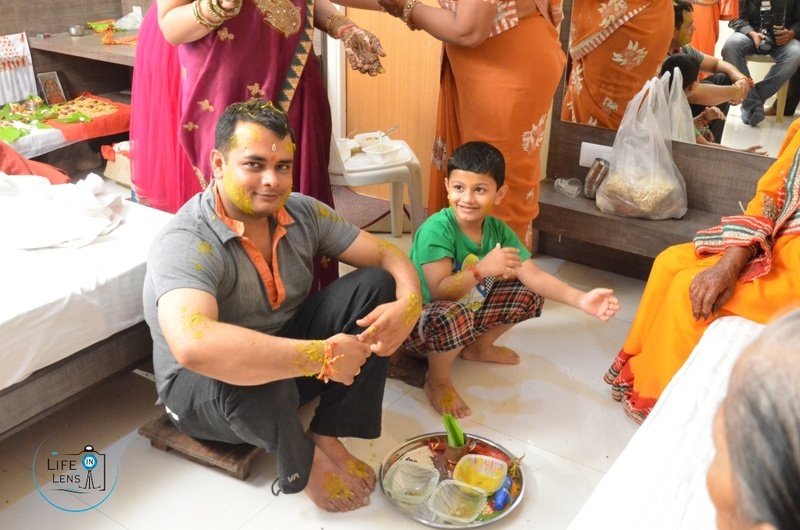 The wedding started with the haldi ceremony, where dabs of turmeric paste was applied to Aditya’s body by his family members and relatives. 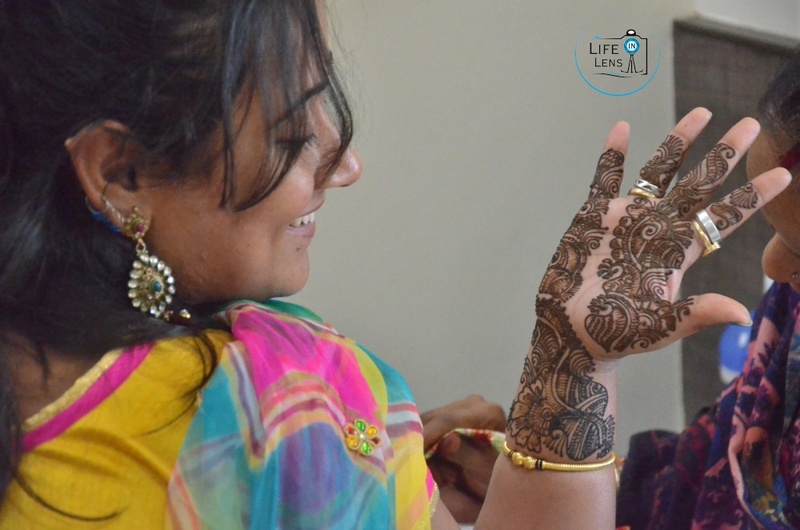 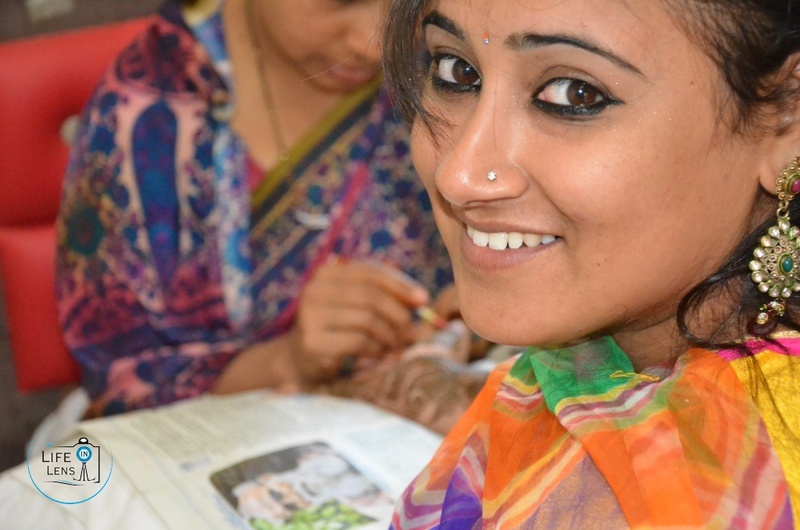 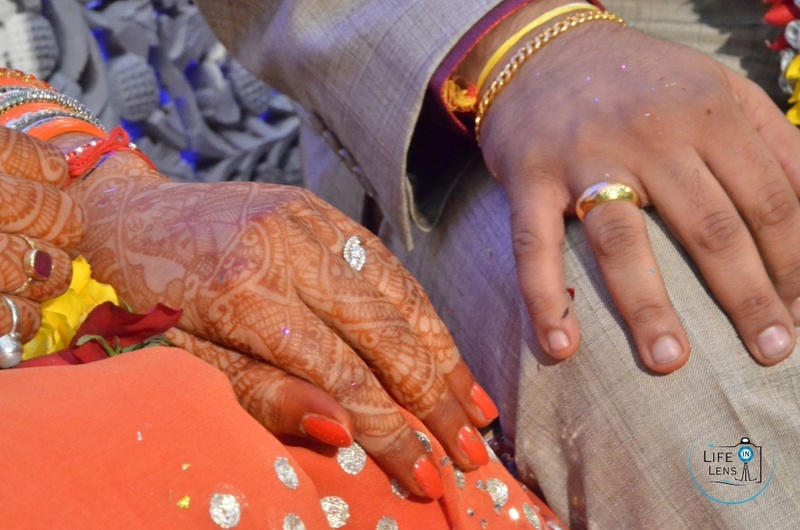 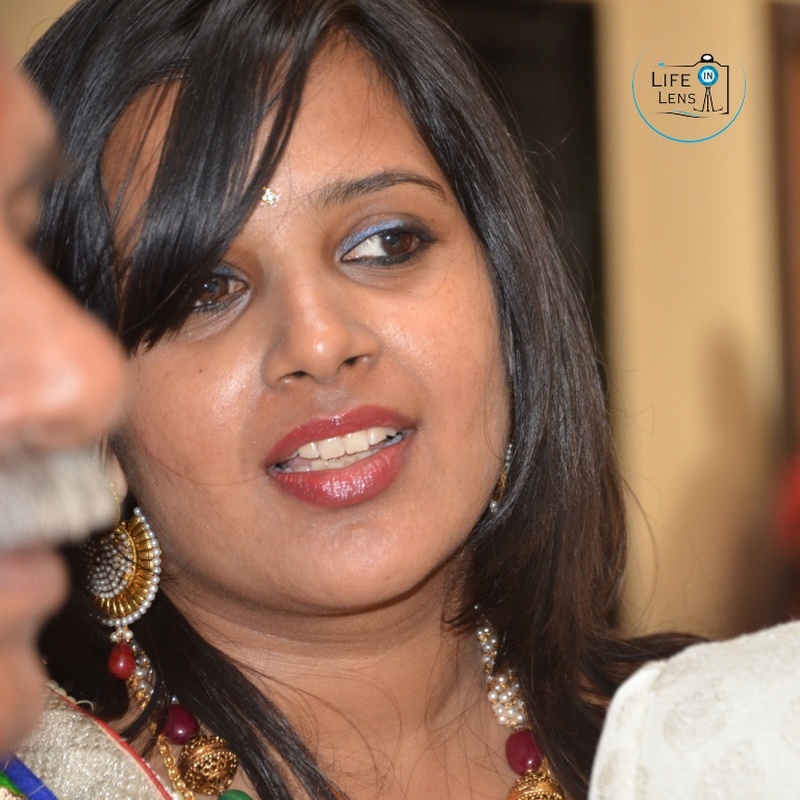 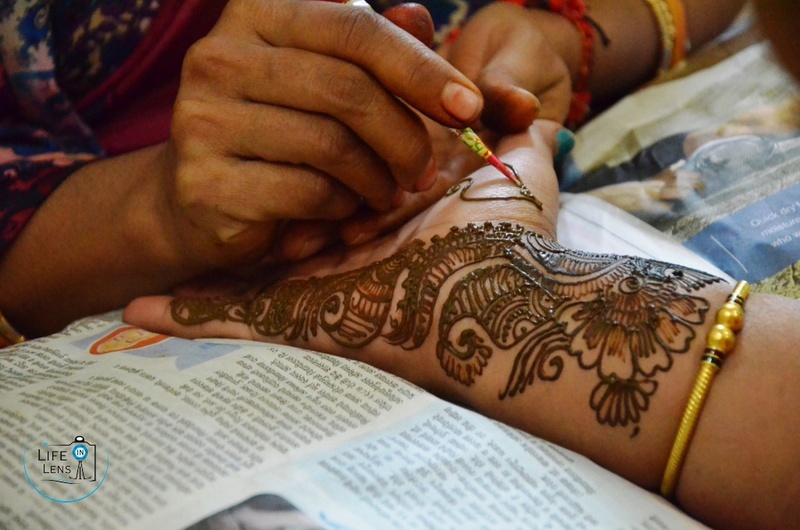 Shweta on the other hand, enjoyed her mehendi ceremony with the beautiful bridal mehendi design adorned on her hands. 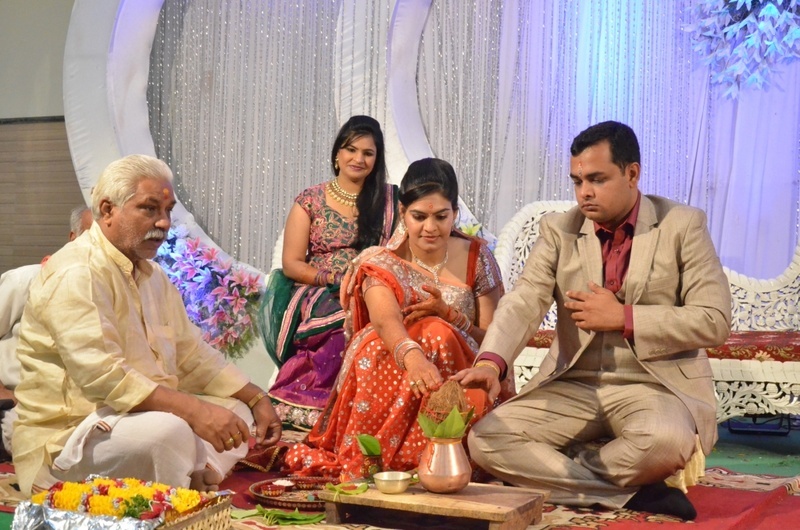 The couple also had an engagement ceremony, where they exchanged rings after performing the traditional rituals. 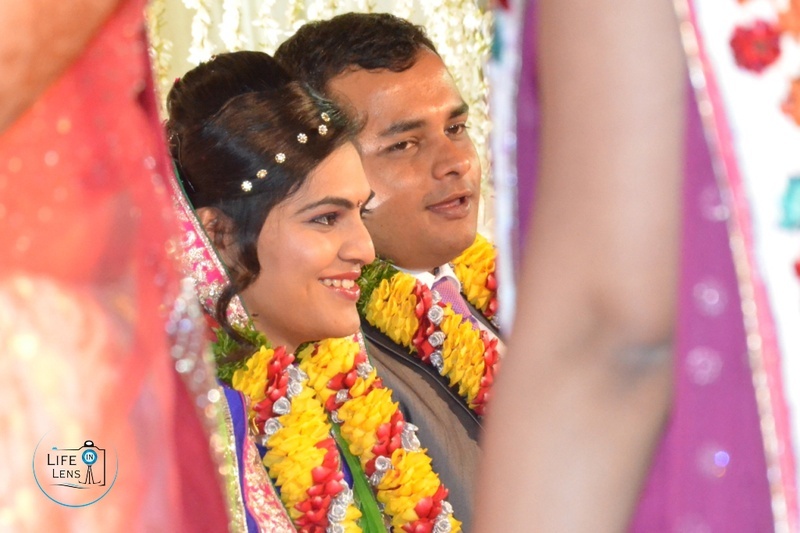 The décor at the Varmala Ceremony was tastefully done with several strings of flowers that beautifully rested on the white drapes. 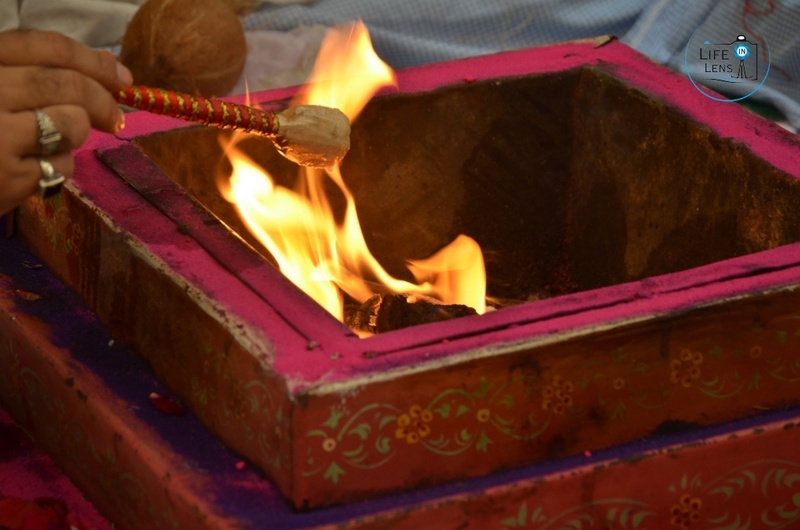 The wedding mandap was set up in an indoor space with a havan kund placed right at the center. 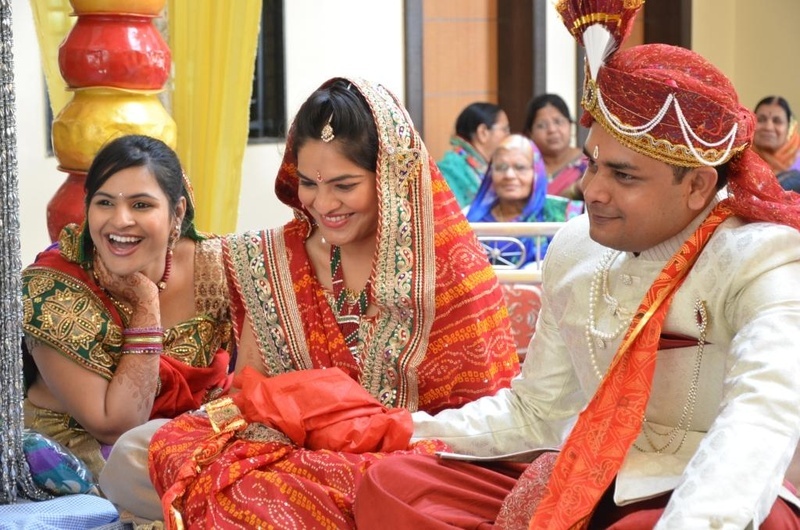 For the Saat Pheras, the bride was dressed in a traditional bandhani saree and wore a vintage neckpiece and a matching pair of earrings, and Aditya wore an ethnic sherwani with a stylish safa, a red pocket square and a pearl necklace, to compliment Shweta perfectly. 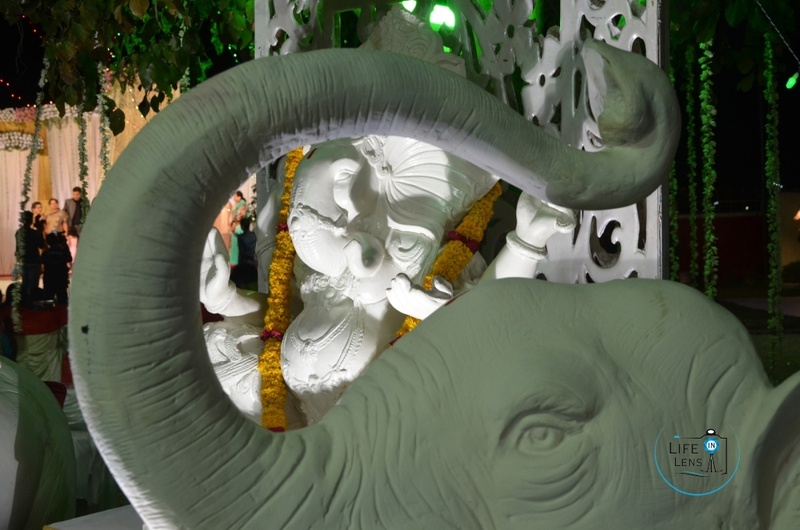 Rajiv from Life in Lens understood the importance of every function and ritual, and captured every bit of it in his camera. 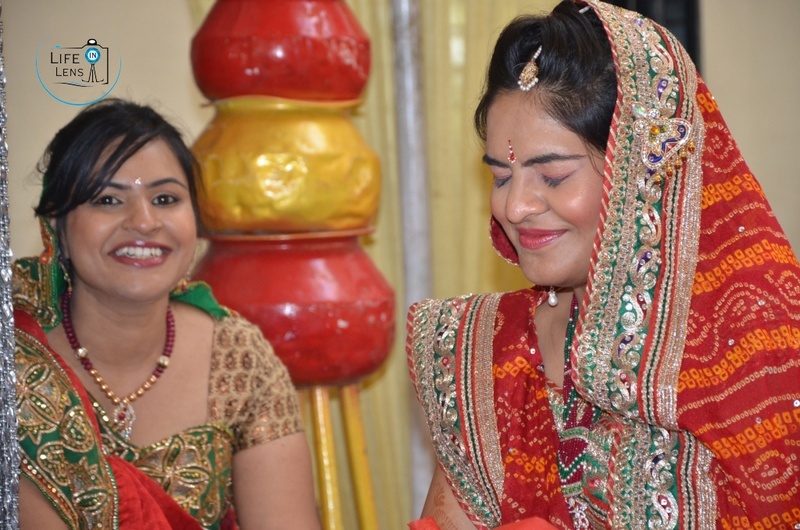 Here are a few images from their wedding day.